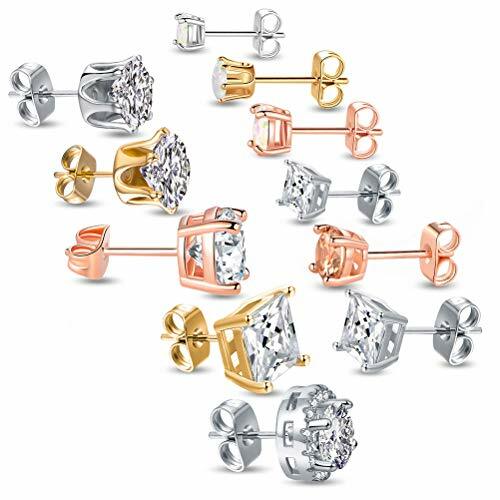 Various of sizes, shapes and colors stud earrings for women and men, boys and girls. Hypoallergenic and nickle free for senstive skin. Idea Jewelry gifts for wife, daughter, mother, boyfriend,father,friends, sister, granddaughter, aunt, girlfriend etc. Such as Birthday gift, Anniversary gift, Graduation gift, Mother's Day gift, Wedding gift,Christmas gift etc. After service: 100% Satisfaction and Money Back Guarantee. If any problems with our product or shipping, please feel free to contact us.